Here at Get Fruity we always appreciate people taking the time to give us feedback. This week we have a lovely review that we wanted to share with you, written by the lovely Sarah from ‘Sarah Trademark’. Here at Get Fruity we always apprdciate people taking the time to give us feedback. 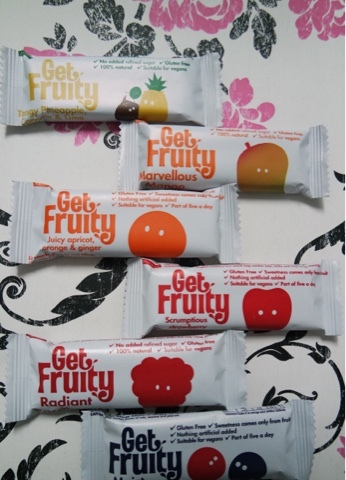 This week we have a lovely review that we wanted to share with you, written by the lovely Sarah from ‘Sarah Trademark’.As I am trying to eat better and incorporate healthier snacks into my life,I decided to give the Get Fruity bars a go.There are so many different flavours available I just couldn’t decide what to try so went for a mixture!